The end of the legislative session is closing in, but we can’t let up. Our voices are needed as two very important Medicaid Expansion bills are at hand, along with the bill to keep Idahoans from making laws. Rep. Muffy Davis brought the Idaho House to silence with her comments on HB 277 today, questioning the costs to Idahoans for the mandatory work requirements associated with Medicaid Expansion and calling out the rushed process for the bill’s hearing. 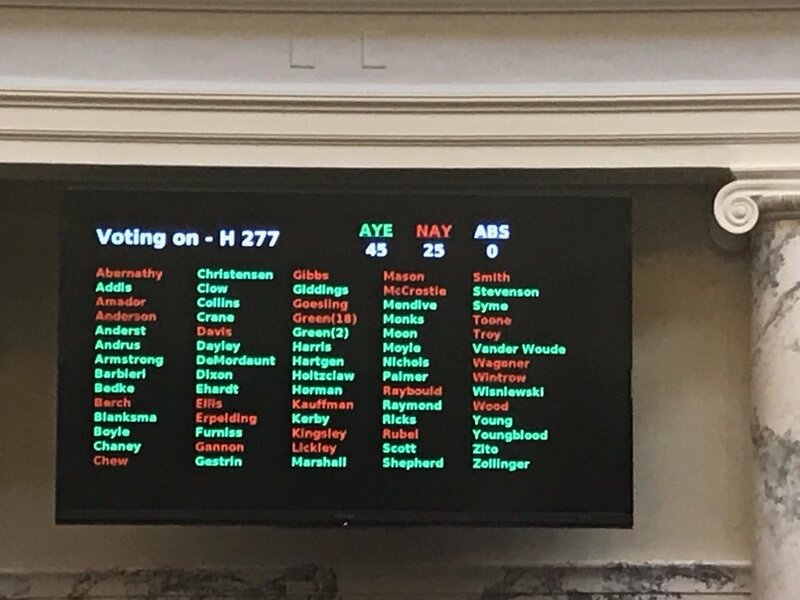 Earlier in the day, the House suspended regular rules on hearing HB 277 in a party-line vote (54-14) with all Democrats voting against the suspension. The Idaho House passed HB 277 this afternoon with a 45-25 vote. A Senate bill to fund the expansion, SB 1204, sponsored by Sen. Fred Martin (R-Boise), has voluntary work requirements and would cost Idahoans much less. The Senate Health and Welfare Committee passed SB 1204 out of committee this afternoon. And, the Idaho Senate amended SB 1159, Sen. Grow’s bill to silence the voters by making it impossible to put a measure on the ballot, which sends it back to the floor of the Senate for a full vote. Sen. Michelle Stennett has been working hard against this bill. Keep calling Senators and sending your emails. Or head to Boise tomorrow morning to Pack The Senate event and let our legislators there know we support the people’s voices and the people’s will.